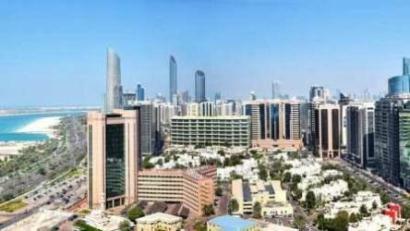 Abu Dhabi is setting up an independent corporate body that will have the ownership of all government and quasi-government development service companies of the emirate. The Abu Dhabi Development Holding Company, or ADDHC, will be a public joint stock company with a capital of Dh500 million. On Sunday, His Highness President Sheikh Khalifa bin Zayed Al Nahyan issued, in his capacity as Ruler of Abu Dhabi, a decree establishing the ADDHC. The new corporate entity will have full legal status as well as financial and administrative autonomy. The holding company has the mandate to monitor and guide development service companies in Abu Dhabi and enable them to achieve excellence in terms of productivity, efficiency and quality that will help promote their businesses and realise the goals as outlined in the Abu Dhabi Vision. According to a decree issued by His Highness Sheikh Mohammed bin Zayed Al Nahyan, Crown Prince of Abu Dhabi, Deputy Supreme Commander of the UAE Armed Forces and Chairman of the Abu Dhabi Executive Council, the board of directors of ADDHC will be chaired by Jassem Bu Ataba Al Zaab, with Sheikh Theyab bin Mohamed bin Zayed Al Nahyan acting as deputy chairman. As per the decree, the ownership of all government and quasi-government development service companies in Abu Dhabi, as well as shares held by government entities or government ventures in those companies, shall be transferred to the ADDHC. The company's Dh500 million capital is to be distributed in the same quantity of shares at a nominal value of Dh1 per share. The company's issued capital will be Dh100 million, distributed in the same quantity of shares at a nominal value of Dh1 per share, which will be fully paid for and owned by the government. A resolution shall be issued by the Abu Dhabi Executive Council to name the development services companies that will become subsidiaries of the ADDHC. Members of the company's board include Dr Mugheer Khamis Al Khaili, Major General Mohammed Khalfan Al Rumaithi, Sheikh Abdullah bin Mohammed Al Hamed, Dr Ali Rashid Al Nuaimi, Owaida Murshid Al Marrar, Saif Mohammed Al Hajeri, Falah Mohammed Al Ahbabi and Mohammed Khalifa Ahmed Al Mubarak. Mohammed Sultan Ghanoum Al Hamli will serve as the company's managing director.